​​We leverage expertise in Single Molecule and Super-Resolution imaging in live cells to study collective behaviors (e.g. protein clustering) emerging from weak or transient biomolecular interactions in mammalian cells. We unveil, often for the first time, that these clusters exist in living cells, and we expand both on the imaging approaches and the cellular and molecular biology techniques to discover the biophysical mechanisms of action, and their function in vivo . 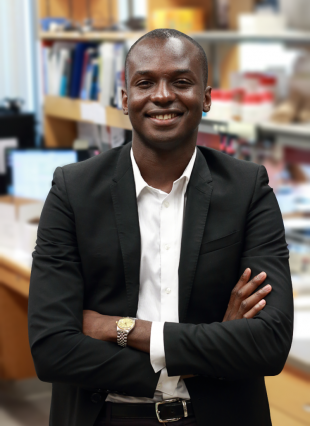 Endowed Physics Professorship: Ibrahim has been named to hold the Class of 1922 Career Development Chair at MIT. Thank you Class of 1922! Infinite Mile Award: Congratulations Monica for being awarded MIT's Infinite Mile Award. Thank you for your continued administrative support! Research highlight: Check out Takuma & Owen's profiles in MIT News! Best Poster Prize: Congratulations Takuma, winner of the Best Poster prize at MIT's 2015 Biophysics retreat! Ferry Fund Award: Ibrahim wins the Ferry Fund Award. The award will be used to support Namrata Jayanth's DNA repair studies in the lab. NSF Fellows: Congratulations Owen (MIT Physics) & Lyndon (MIT Biology) on securing NSF Fellowships! Human Frontier Finalist: Congratulations Won-Ki on making the reserve list for HFSP Fellows. Fingers crossed! Ibrahim receives a 2014 NIH Director's New Innovator Award. Thanks NCI and NIH Director's Office! We will be presenting new data at 2014 MIT Biophysics retreat! See the talk by Wonki, and posters by Namarata/Will, Takuma, and Owen! Owen Andrews (MIT-Physics PhD Student) and Lyndon Zhang (MIT-Biology PhD Student) join the lab. Welcome Owen & Lyndon! Will Conway (MIT-Physics &Biology undergrad) and Dr. Wonki Cho (POSTECH) join the lab. Welcome Will & Wonki! Dr. Namrata Jayanth (Cambridge Univ. & NCBS/Tata Institute) joins as the lab's first Post-doc. Welcome Namrata! Jordan Santana (MIT-Physics Undergrad/UROP) joins the lab. Welcome Jordan! We will be at the APS March meeting. Catch Ibrahim's invited talk on Thursday March 6, See you in Denver, CO! Takuma Inoue (MIT-Physics PhD student) joins the lab as of January 2014. Welcome Takuma! Cissé Lab officially starts at MIT, January 16 2014!